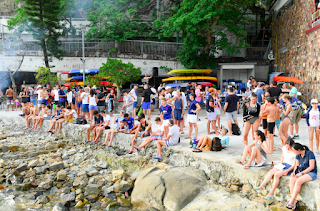 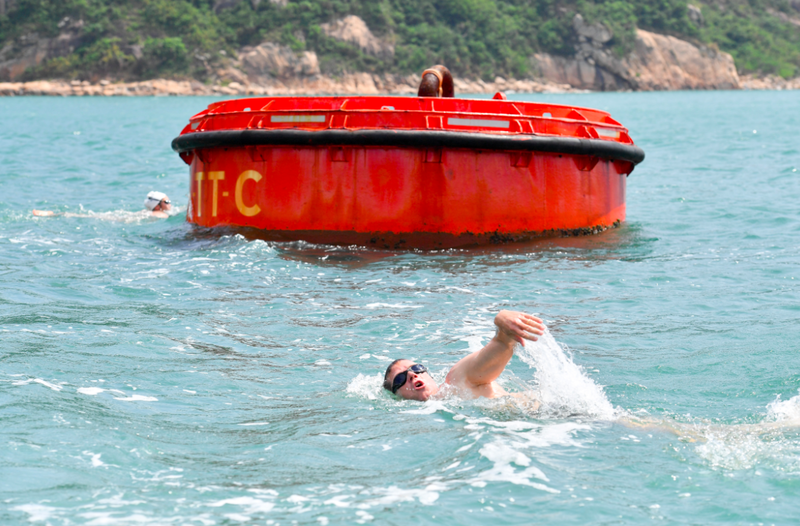 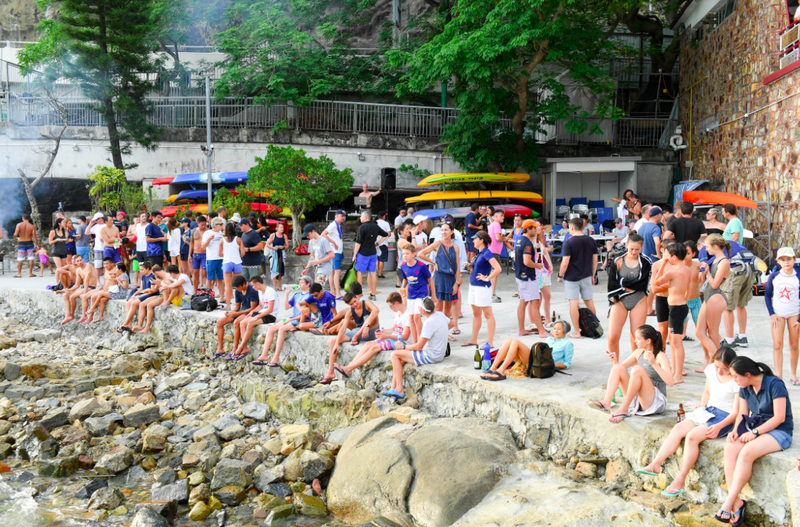 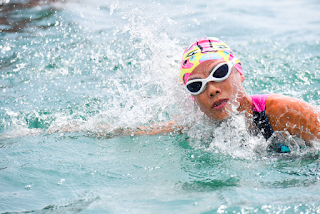 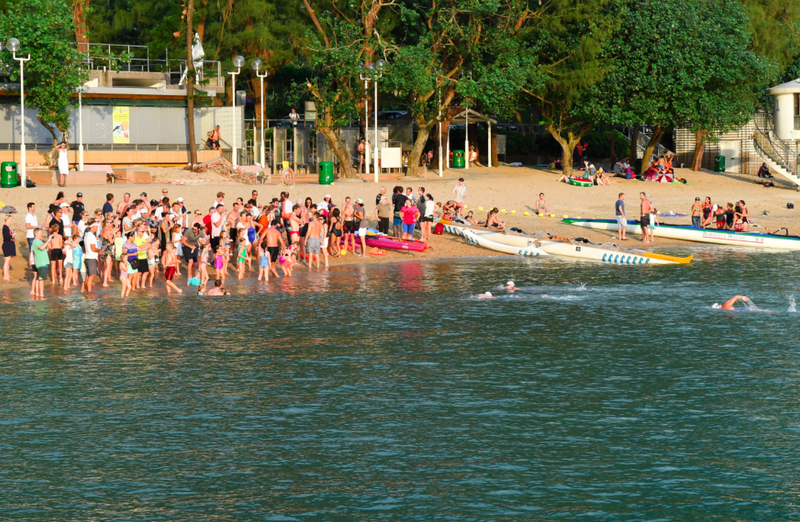 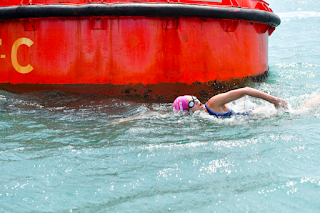 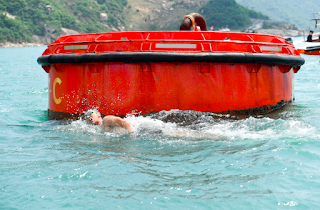 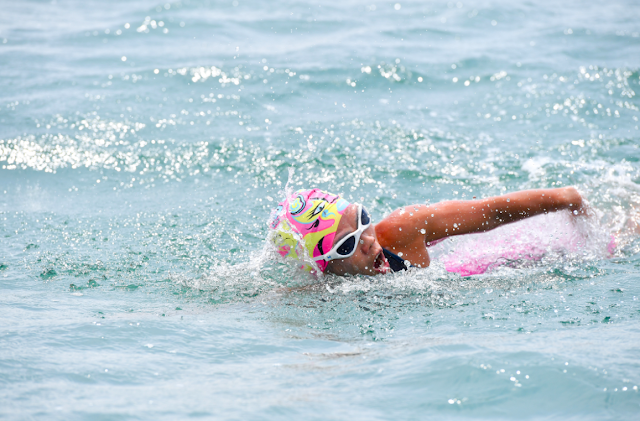 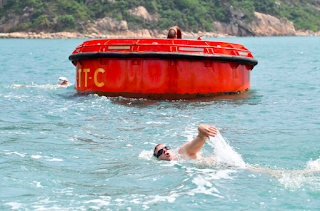 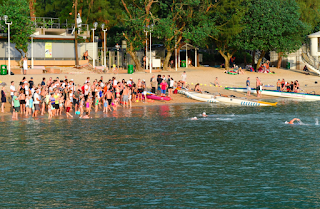 Photos courtesy of Cow Lau, Clean Half Extreme Marathon Swim, Hong Kong. 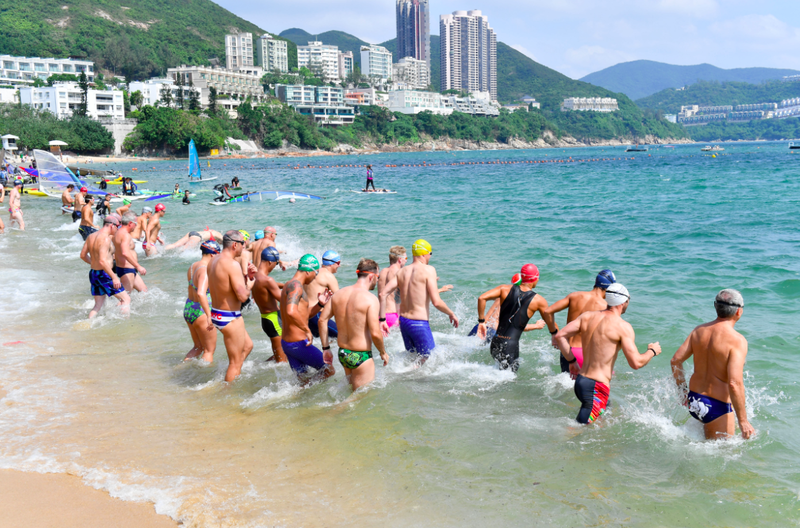 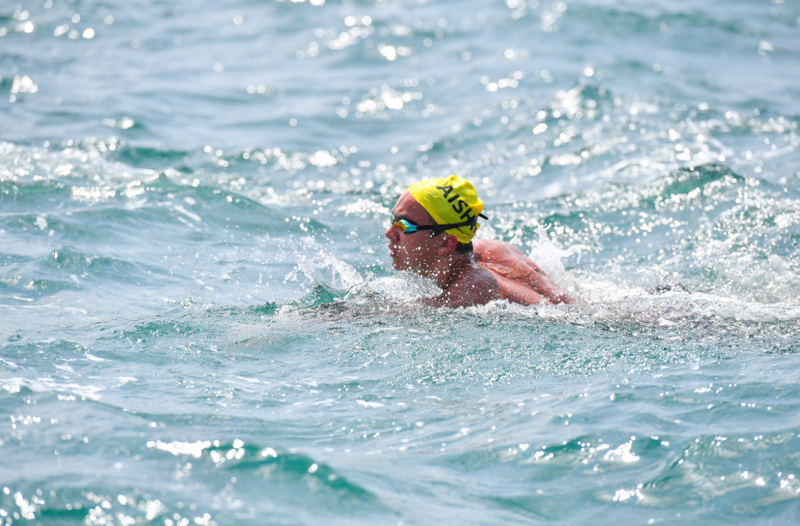 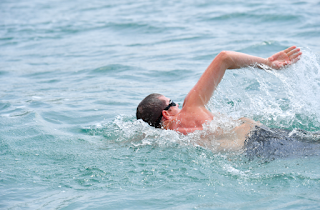 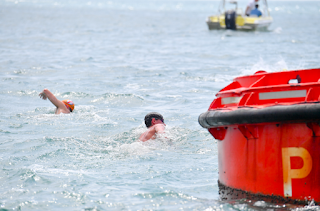 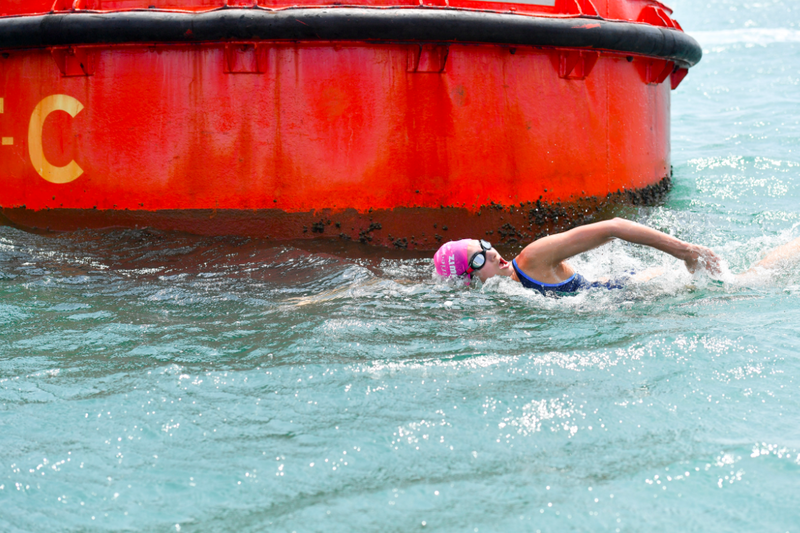 Young 16-year-old Bill Thorley was the first solo swimmer to finish the 15 km Clean Half Extreme Marathon Swim in Hong Kong this weekend in a fast 4 hours 42 seconds, especially given the wavy, windy conditions with strong currents. 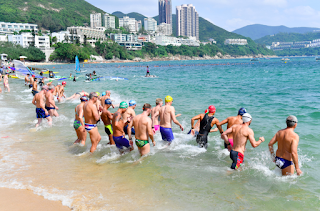 Race director and carbon neutral relay swimmer Doug Woodring reported, "It was a huge day out. 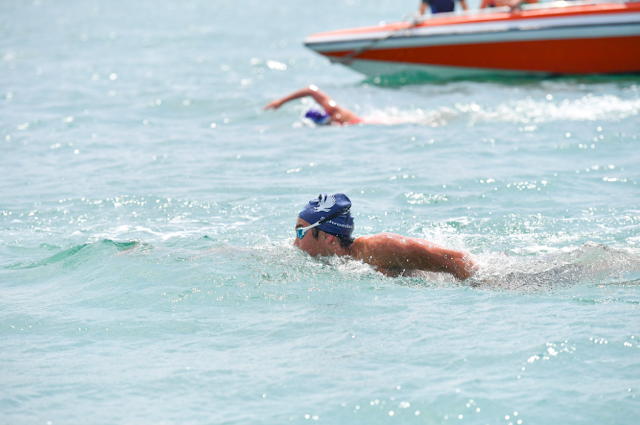 We had amazing weather with warm water, but very strong winds and currents due to the full moon that made the times 40 minutes slower for the fastest teams and then some. 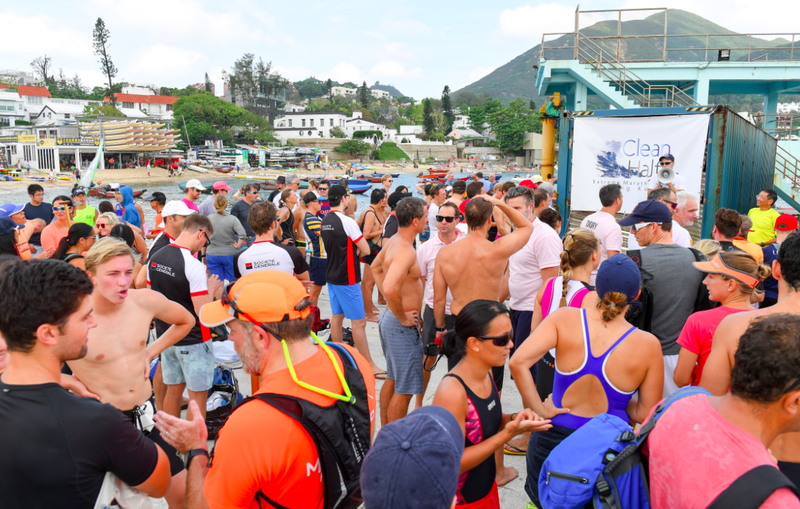 We had 16 solo swimmers including 8 from overseas and 20 Yak teams of two swimmers alternating kayaking and swimming, and 45 relay teams of 5 swimmers each. 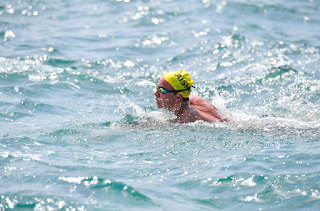 Bill won in a speedy time that put him third overall - including relays." 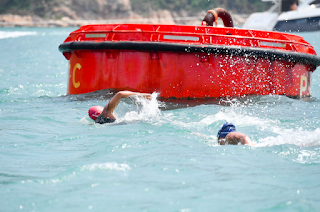 For more information, visit openwaterasia.com.